identity and diversityThe individual building - developed in a continuous characteristic style - create urban identity and complexity. Living in an urban atmosphere, affected by the interplay of shadow and light and by the interpretable boundaries of public and private, allows a livable and vibrant mix of residential living and public usage. 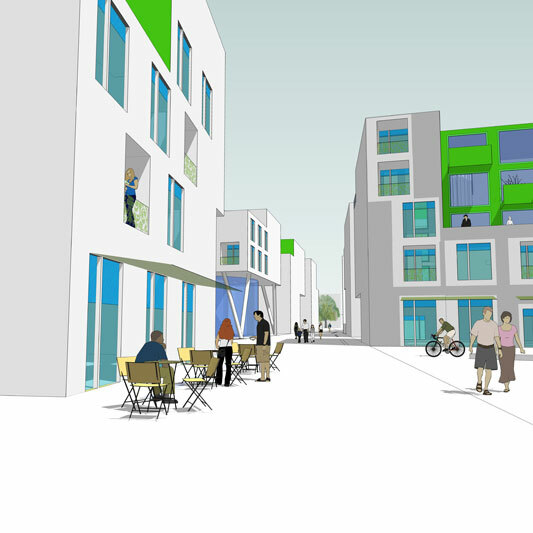 Living in the cityUrban qualities and a variety of attractive open spaces characterize the new public utility areal. 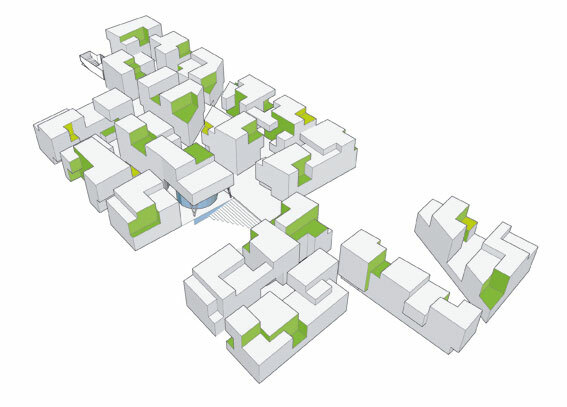 Small residential units out of 3-4 buildings together with the open space type residential alley and the square are forming an inseparable bond, which is embedded in a bigger scaled urban structure. 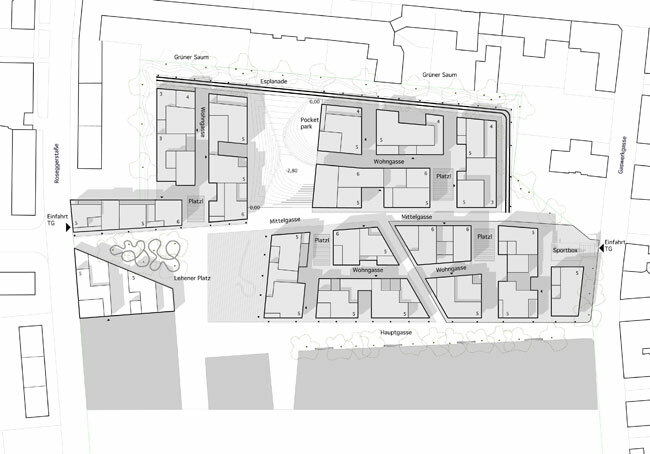 The different squares compose the transition to areas with higher public regards (Mittelgasse, Lehener Platz, Pocketpark) and offer space for housings and shops around its edges. streets The various public usages located on the ground floor realign themselves towards the main access routes: Hauptgasse, Mittelgasse, Diagonale and Lehener Platz.